Andrew D'Eri works at his family's car wash business. Emmanuel Pringle learns a trade though Arc Tech. Keyshla River-Lopez trains for a career though Arc Culinary. 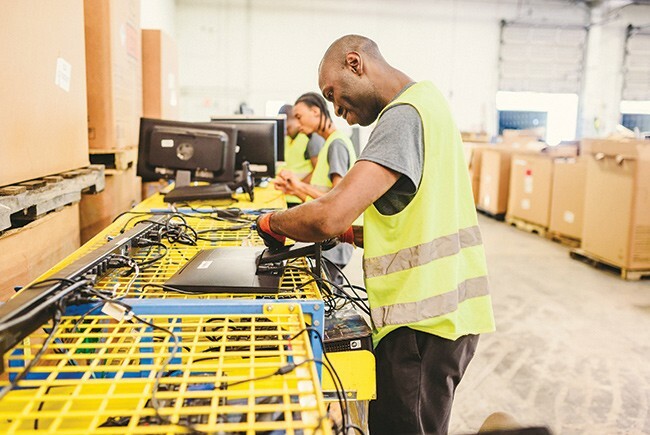 People with disabilities work in all sectors of Florida’s economy, in companies ranging from small firms to big companies including Pepsi, SAP, JPMorgan Chase, EY and CVS, which all have been lauded for their disability employment programs. Statewide, roughly 400,000 people with physical, developmental or intellectual disabilities are employed in Florida. 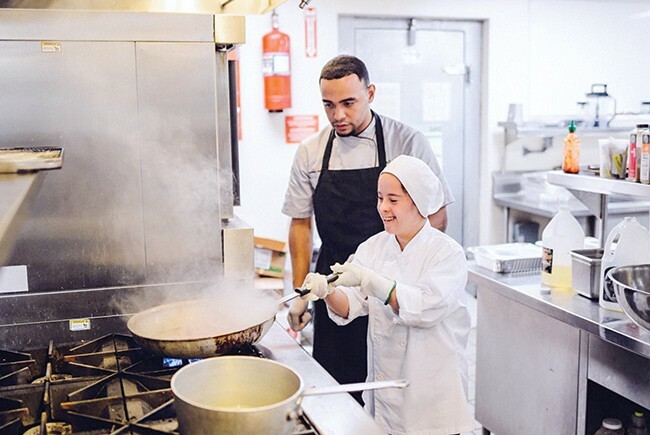 Organizations that work with the disabled say the employees can succeed in many types of jobs, from sous chefs to software testers to lawyers. Arc Broward developed training and certificate programs in material handling and culinary arts. For people with autism, jobs that can be broken down into processes, such as in a car wash, can provide successful environments. Microsoft changed its interview process to attract candidates with autism. It also offers mentoring programs to develop them. For other disabilities, all that may be needed from employers is some physical accommodation and an open mind. Hospitality industry managers report a ready and eager talent pool in an industry always hungry for workers. Hiring among the disabled has ticked up in Florida, with 39,620 hires between 2013 and 2017, according to a 2019 report by the Florida Chamber Foundation and the Able Trust. Benefits for businesses can be lower employee turnover rates; for instance, the Rising Tide Car Wash, with 90% of its workforce on the autism spectrum, has an 8% annual turnover rate, far lower than the industry average. Meanwhile, a study of large corporations by Accenture, Disability:IN and the American Association of People with Disabilities found that companies leading in disability employment generated 28% more revenue, higher profit and double the shareholder returns of their peers. All this can bring what Susanne Homant, president and CEO of the non-profit Able Trust, calls a triple win — for the employee, employer and the economy. Able Trust’s research found that employers believed employees with disabilities have physical or stamina issues that restrict productivity, that there are health and safety concerns with hiring people with disabilities and that the costs of providing benefits will be too high. “Businesses that hire people with disabilities in jobs that are a good fit for the employer and the employee find that these three barriers are actually significant misperceptions,” Homant says. Homant encourages businesses to learn how to work with people with disabilities. Many non-profits offer disability sensitivity training to businesses free of charge, and a number of consulting firms perform this service for a fee.